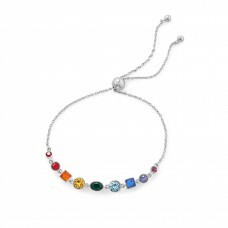 Rainbow bright adjustable friendship bolo bracelet in rhodium plated sterling silver. 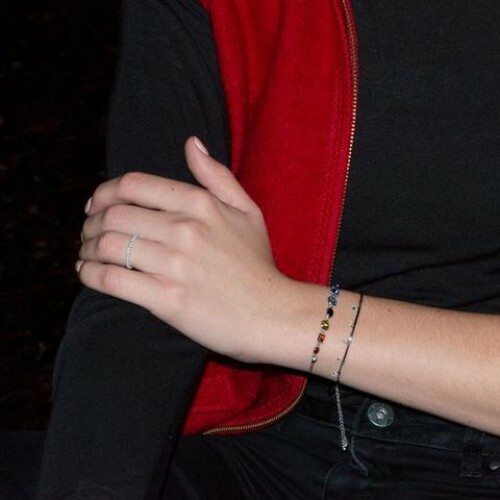 Featuring assorted crystals ranging in size from 4mm to 6.4mm on 1.4mm cable chain. 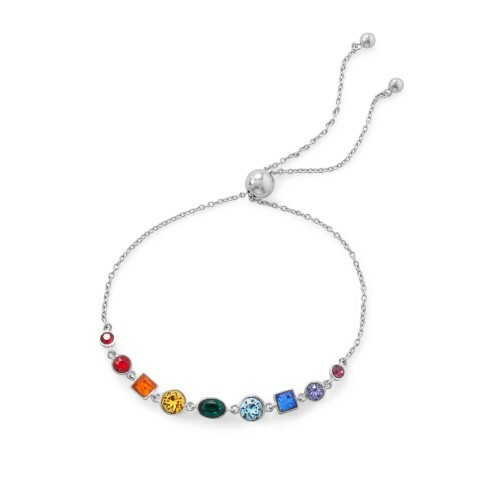 Bracelet adjusts with 7mm stopper bead and is finished wtih 3.7mm beads.